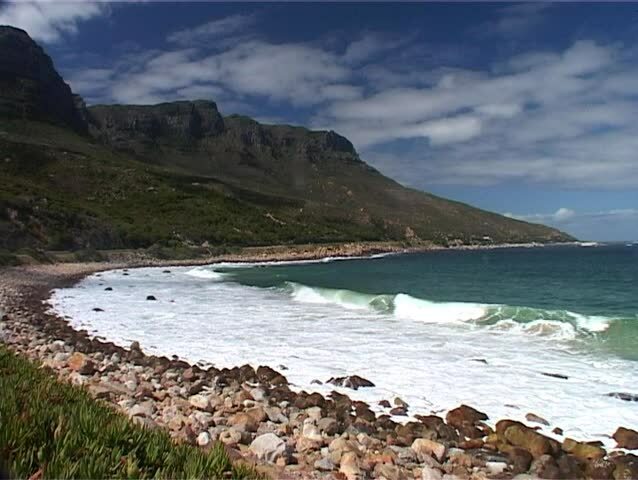 Shot of the Cape Coastline just before Camps Bay, Cape Town. This is looking across the Atlantic Ocean towards Hout Bay. hd00:39Aerial footage of the desolate mountains and the vast desert. A large lake sits in the middle of the desert surrounded by cliffs. 4k00:16Aerial view on volcanic tropical island. Beautiful lagoon and peaks covered with rainforests, Mauritius. 4k00:25Ponta de Sao Lourenco. The most beautiful trail on Madeira Island.